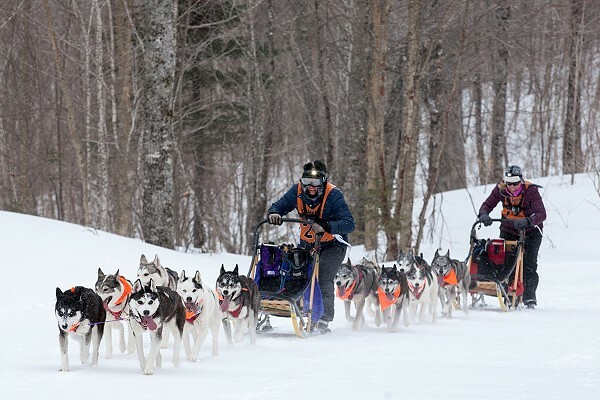 * We went to the Clay Hinds Memorial race in Colebrook NH Sunday March 10th and raced the 6 dog 16 mile class. The dogs had a great run and we finished 1st and 2nd out of 10 teams! Kelly's winning 16 mile race team climbing the trail in the mountains followed by Kim's second place team. We want to mention the special friends & businesses below whose love and continued support mean so very much to us! THANK YOU! All rights reserved do not copy or borrow any portion of these pages without written permission.